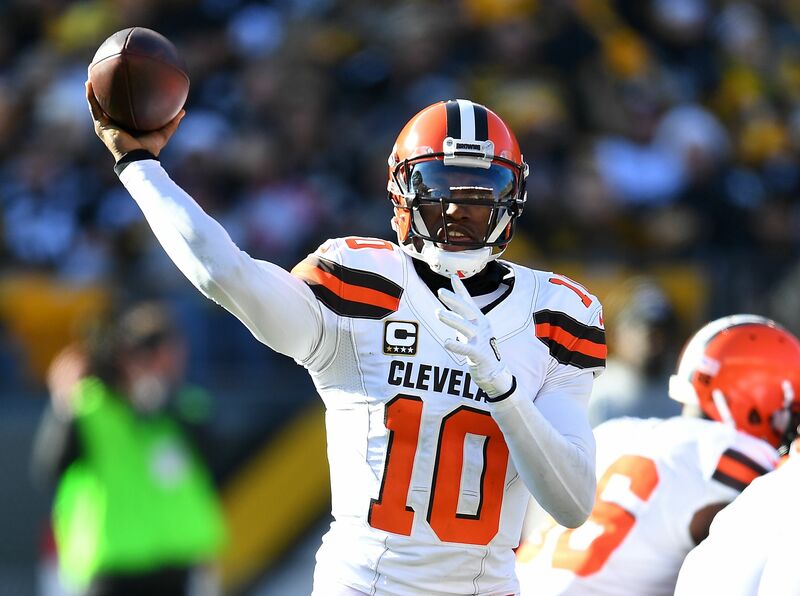 The Baltimore Ravens are reportedly thinking about bringing in former Redskins and Browns quarterback Robert Griffin III for a workout. Ever since franchise quarterback Joe Flacco sustained a “minor” back injury while lifting, the Ravens have been looking for backups to fill in during camp and in possibly into the regular season. Current backup Ryan Mallet has looked awful in practices thus far, throwing five interceptions in one day. Don’t expect much from former Arena League QB David Olson either. That’s why the Ravens continue to monitor the free agent market and Robert Griffin III is one of the options, the team is considering bringing in for a workout, according to Jeff Zrebiec of the Baltimore Sun. If the Ravens were to sign RGIII, he would likely be given a chance to unseat Mallet as the primary backup. Of course, as we know, Griffin isn’t the only former high-profile quarterback the Ravens are looking at. Zrebiec also reported the Ravens are looking at potentially signing Colin Kaepernick, pending player, fan and sponsor feedback. As a player, it’s hard to argue that RGIII is better than Kap. Whereas the latter remains unsigned because of his political protest, the former can’t stay healthy and isn’t great when he’s on the field. Griffin has never played a full 16 game season and hasn’t thrown more touchdowns than interceptions in a season since 2013. While RG3 has permanently regressed into a shell of the 2012 offensive rookie of the year, Kap had his best season last year with his worst supporting cast, and certainly a worse group than Griffin had to work with. Kap bested Griffin in yards per attempt, touchdown to interception ratio, quarterback rating and passer rating. Despite this, one can easily picture a reality in which the Ravens sign RG3 instead of Kap, and at this point, we all know why. If the Ravens upper management finds that the fan backlash is too severe, signing the less talented but more palatable Griffin might be the path they choose. Either way, we’ll learn a lot about the Ravens organization based on what they do moving forward.